Shirdi a small town located in Rahata Tehasil of Ahmednagar District in the Indian state of Maharashtra has become the centre of devotion among followers of Shri Sai Baba the spiritual leader of Maharashtra. Popularity of Shirdi and Shri Sai Baba has crossed the borders of India reaching many corners of the world. Due to this growing popularity many of his followers are pouring into here during the great festivals of Shirdi. The huge temple complex in Shirdi is full of devotees coming here to take blessings of Sai Baba. Temple complex consists of Khandoba Temple, Gurusthan.Samadhi Mandir, Dwarkamai and Chavadi. 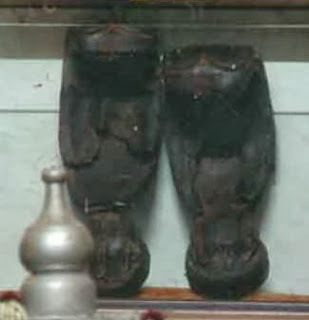 Similarly Sai Museum in Shirdi exhibits a collection of the things which were used by the saint during his lifetime. This museum which is part of Dwarkamai preserves most personal and closely associated things of Sai. 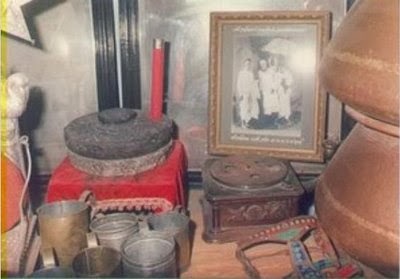 Among other things the Museum has kept Saibabas Padukas, some coins which were given by him to Mhalsapati, Two utensils used for cooking and feeding people are also kept in the Museum. Among these utensils the smaller used to stock food for fifty people, whereas the big utensil managed to stock food for nearly hundred people. There is a grinding mill called “Chakki” which was used by the saint to grind cereals. This grinding mill is said to be symbolic representation of Dharma and Bhakti, which are represented by the upper and the lower stone of the mill. Overall concept expressed by this symbolic mill is by having faith on Dharma and Bhakti a state of ultimate salvation can be reached. Sai Baba educated the masses with his actions and symbolic language. Sai has truly said that one who comes to Shirdi to meet him will never return empty handed. You can experience this by paying a visit to Shirdi the sacred place of residence of this great saint. There are plenty of accommodations available for a comfortable stay in Shirdi in various flexible budgets. Earlier accommodations provided by the trust used to serve the devotees, but prosperity of the city brought many new means from small hotels to the star hotels providing every Luxury. While staying in the vicinity of Shirdi temple you will feel that you are being accompanied and blessed by Sai.